These days, there’s a lot of consumer interest and media speculation on the benefits of coconut oil. Coconut oil has been reported to have many health benefits such as antioxidant, anti-inflammatory, and lipid reduction, and these properties are attributed to the popyphenols found in coconut oil. Extracted from coconut fruit, coconut oil has many uses, including industrial, medicinal, and for cooking. The oil is composed of saturated fats and the main constituent is lauric acid. Coconut oil also contains monounsaturated fats in the form of linoleic acid, although this is only in small amounts. Coconut oil’s rising popularity is largely due to its satiating properties. Because of this, it has been actively promoted as a food that can help you shed off some pounds and manage your waist circumference. But did you know that coconut oil isn’t used just for weight loss? 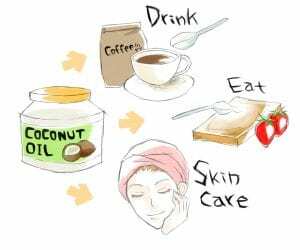 Take a look at these astonishing applications and benefits of coconut oil. Coconut oil not only facilitates wound healing, it also helps the body form new blood vessels, thanks to its angiogenic properties. Coconut oil has been found to facilitate wound healing. 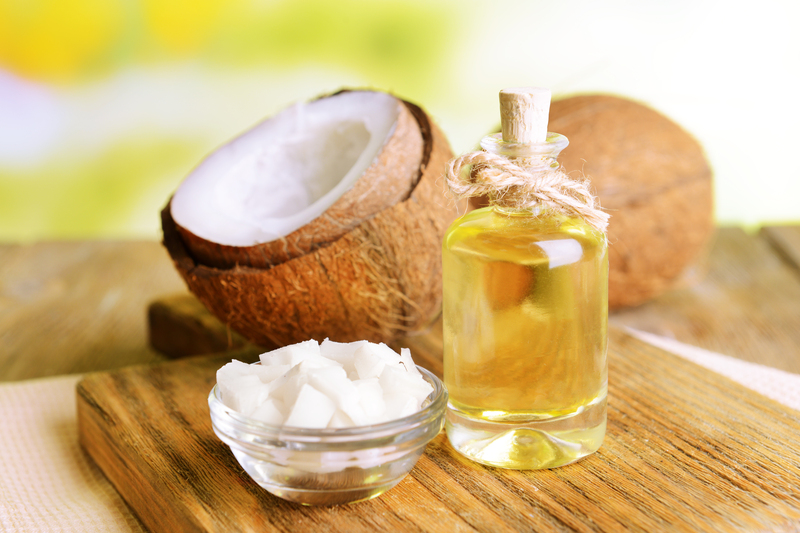 Applying virgin coconut oil to your wound can result in shorter wound closure time and smaller wound size. Coconut Oil Can Improve Skin Condition. Coconut oil has emollient and anti-infective properties which makes it great for the skin. This is one of the reasons why you will often find coconut oil in the formulation of skin care products like body lotions. What’s astonishing is that topical coconut oil was used in preterm infants and it gave them better skin condition without any negative side effects. Coconut Oil Improves Cognitive Function. One study tested the benefits of coconut oil on Alzheimer patients. The results showed that after only 21 days of eating 40 ml of coconut oil every day, Alzheimer patients showed improvements in language-construction as well as in orientation. Another study showed that in patients with Alzheimer’s, coconut oil can protect cortical neurons. Virgin coconut oil has also been shown to improve memory and that it reduced oxidative stress. Coconut Oil Pulling Can Control Plaque. Oil pulling is an ancient Indian Ayurvedic dental technique. Its purpose is to improve dental health as well as to draw out toxins from the body. Since it was regarded as a traditional folk remedy, researchers decided to test it scientifically. As expected, coconut oil was shown to be effective in controlling plaque. What’s astonishing is that you only need to rinse your mouth with coconut oil for ten minutes every day for a week and you will already see a visible difference. Another study showed that rinsing your mouth with coconut oil was as effective in getting rid of bacteria that cause dental caries as rinsing with chlorhexidine, a disinfectant and antiseptic used to prevent dental plaque. Coconut Oil In Kerabala Helps Treat Arthritis. Kerabala, is an Ayurvedic formulation composed of virgin coconut oil, coconut milk, sesame oil, and extracts of Sida cordifolia. Coconut oil can help treat inflammation and tissue damage. It can also lessen the pain felt due to arthritis. Coconut Oil Reduces Testicular Injury. Highly active antiretroviral therapy (HAART) is a treatment for HIV which is associated with testicular damage and decreased sperm qualities. For patients undergoing HAART, ingesting coconut oil regularly can help repair the testicular damage caused by the therapy. Coconut Oil Prevents Insulin Resistance. One animal study showed that a diet rich in coconut oil can result in better insulin functioning and less insulin resistance. Studies also indicate that because coconut oil is made of medium-chain triglycerides or fats (MCT), it’s harder to store and easier to use for energy. This means that coconut oil doesn’t easily get converted to stored fat, which is good news for people who are keeping a close watch on their weights. Coconut Oil Is A Great Energy Source For Brain Cells. The MCTs contained in coconut oil are converted by the liver to ketones, which are used by bodily organs as fuel when there’s a low supply of glucose. The brain, which is normally dependent on glucose for energy, also uses ketones as fuel. This is especially the case when you’re on a low carb diet, fasting, or doing strenuous exercises. And this is also the main reason why coconut oil is often used in ketogenic diets. Aside from being taken orally for its health benefits, coconut oil also has a lot of cosmetic and household uses and benefits. For one, it’s commonly used as a hair treatment, like a hot oil or to get rid of split ends. But you might be surprised to know that coconut oil also has great technological and industrial uses. For instance, did you know that silver nanoparticles can actually be synthesized using coconut oil cake extract? Here are other examples of coconut oil applications.